Countryside Country Club! 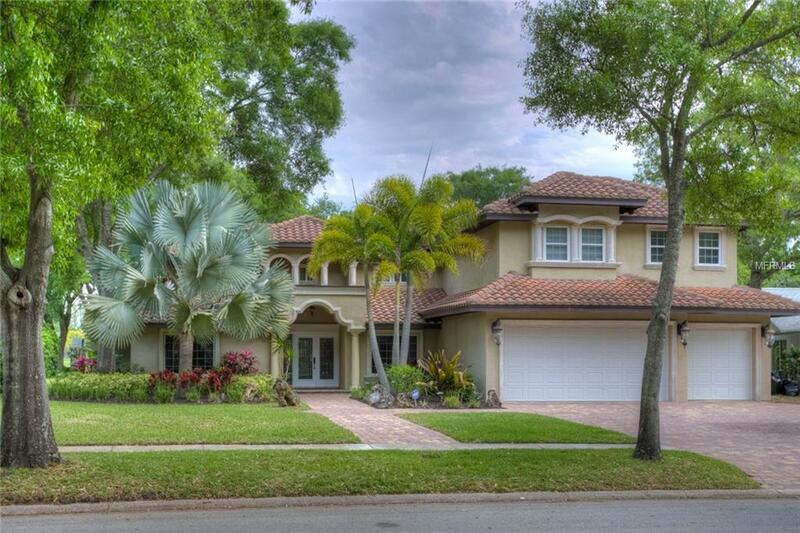 Located at the 100 yard marker of the 9th hole on the Pine Course, this Block Construction, 4 Bedroom + Den/Office, 5.5 Bathroom, Oversized Three Car Garage, Pool Home boasts over 4,400 square feet of living space on almost half an acre of land. Features Include *Large first floor mastersuite with vaulted ceilings, double vanity, garden jetted tub with separate shower and walk in closets *Spacious kitchen with wood cabinets, breakfast bar, granite countertops and stainless steel appliances overlooking the family room and 250 gallon salt water aquarium *Large upstairs bonus/game room with vast golf course views and French doors leading to an upstairs balcony *3 large bedrooms located upstairs with three bathrooms. One upstairs bedroom has it's own bath and balcony, great for in-law, nanny or guest suite* Huge and very private, screen enclosed, saltwater pool and outdoor living area with pavered deck; Every man's dream garage to park all of the toy's and golf equipment. Other features include: Ceiling fans throughout, pavered driveway, gorgeous landscaping, Irrigation system on well, security system high end water softening system (no salt) and gorgeous golf course views. Located high and dry with no flood insurance required, it's hard to beat this location...a short walk to the country club and only minutes to all major hospitals, restaurants and shopping. Easy commute to area airports, major sports stadiums and the beaches, be sure to put this one on your list of must see homes!